November is National Pancreatic Cancer Awareness Month, and you can show your support by taking the time to learn more about this devastating form of cancer. In general, pancreatic cancer has not had as much public exposure as say breast cancer or even prostate cancer has had. However, pancreatic cancer happens to be one of the most deadly forms of cancer. To make matters even worse, the survival rate for this disease has not improved substantially in the over 40 years since the passage of the National Cancer Act. Purple has been chosen as the color which represents support for pancreatic cancer awareness month and the patients and families who are currently living with this disease. You can even help to spread further awareness for pancreatic cancer by sporting a purple ribbon this month. In fact, there are plenty of shirts, hats and decals available which sport the purple ribbon for National Pancreatic Cancer Awareness Month. Since 2004, rates of pancreatic cancer have increased about 1.5% per year. Lifetime risk for pancreatic cancer is about 1 in 71 (1.41%). This is about the same for both genders. Pancreatic cancer is the tenth most common cancer in men and women, and the fourth leading cause of cancer death in men and women. Of all the cancers tracked by both the American Cancer Society and the National Cancer Institute, pancreatic cancer is the only one with a five-year relative survival rate in the single digits. Pancreatic cancer is difficult to diagnose and more than half of all cases not found till it is at an advanced (metastatic) stage. The number of new pancreatic cancer cases has been projected to increase by 55 percent between 2010 and 2030. The highest incidence rate amongst is African Americans (between 34 % and 67 % higher than other racial groups). Currently, there are only a few risk factors which have been identified for pancreatic cancer. Frankly more research is required in order to better understand their direct relationship to this disease. 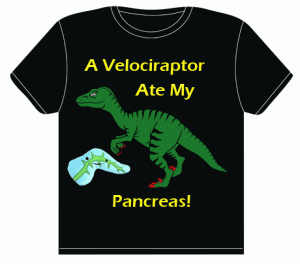 What’s worse is that there are still no effective methods of early detection for pancreatic cancer. The harsh truth is that most cases are not discovered until a more advanced stage. There are some symptoms associated with pancreatic cancer, but they tend to be rather vague. Patients with pancreatic cancer will have some options when it comes to how their disease is treated. There are the standard forms of treatment, and there are some experimental forms of treatment which are being tested in clinical trials. Depending on the individual’s prognosis, there are patients who may want to consider taking part in one of these pancreatic cancer clinical trials. For those patients who will be undergoing the standard form of treatment, there are five types which are most often used to treat pancreatic cancer. Whipple Procedure: Surgeons will remove the head of the pancreas, the bile duct, part of the stomach, the gallbladder, and part of the small intestine during this operation. Total Pancreatectomy: This procedure will remove the whole pancreas, part of the stomach, part of the small intestine, the common bile duct, the gallbladder, the spleen, and nearby lymph nodes. Palliative Surgery: If the cancer has already metastasized and can’t be removed, then these procedures may help to relieve some of the symptoms. Endoscopic Stent Placement: If the patient’s tumor is currently blocking the bile duct, surgery can be done to put in a thin tube (stent) which will allow built up bile to drain. In some cases, the stent may be hooked up to a catheter so that the bile drains outside the body, or they can bypass the blocked area and drain the bile into the small intestine. Surgical Biliary Bypass: If the cancer has blocked the small intestine, a biliary bypass can be performed. The surgeon will need to cut into the bile duct or the gallbladder and then attach it to the small intestine in order to create a pathway. Gastric Bypass: In cases where the tumor has begun to block food from the stomach, surgeons have the ability to sew the stomach directly to the small intestine. A successful operation allows the patient to eat normally again. Chemotherapy: This form of cancer treatment uses drugs to stop the growth of cancer cells, either by killing the cells or by stopping them from dividing. The drugs can be administered orally or intravenously so that they enter the bloodstream. They can also be placed directly into the cerebrospinal fluid, the body cavity, or an organ, where the drugs will mainly affect cancer cells in that area. Radiation Therapy: This uses high energy x-rays or other forms of radiation to kill or prohibit cancer cells from growing. The way the radiation therapy is administered depends on the type and stage of the cancer being treated. Chemoradiation Therapy: This treatment combines chemotherapy and radiation therapy to increase the effects of both. Targeted Therapy: This is a type of treatment that uses drugs or other substances to identify and attack specific cancer cells without harming normal cells. Tyrosine kinase inhibitors (TKIs) are targeted therapy drugs that will block the signals needed for tumors to grow. Erlotinib is a type of TKI used to treat pancreatic cancer. Joan Crawford: She was voted the 47th Greatest Movie Star of all time by Entertainment Weekly. She died from a heart attack while battling pancreatic cancer in 1971. Steve Jobs: Co-founder and CEO of Apple, diagnosed with a rare form of pancreatic cancer in 2004. He died in 2011 from complications following surgery for pancreatic cancer. Patrick Swayze: Celebrated actor who was well known for his roles in Ghost, Road House, and Dirty Dancing. He eventually succumbed to his pancreatic cancer in 2009. Ruth Bader Ginsburg: The Supreme Court Justice underwent surgery to treat pancreatic cancer in 2009. Fortunately, her disease was discovered at a very early an treatable stage during a routine check-up. Donna Reed: She received the 1953 Academy Award for Best Supporting Actress for From Here to Eternity. She passed away from pancreatic cancer in 1986. Luciano Pavarotti: Italian opera singer whose success made him one of the most commercially successful tenors of all time. In 2007, the celebrated singer passed away due to pancreatic cancer. Dizzie Gillespie: He was an American jazz trumpeter, bandleader, composer and occasional singer. He is celebrated as one of the major figures in the development of behop and modern jazz. He died from pancreatic cancer in 1993. Michael Landon: An actor made famous for his work in period Western dramas, like” “Bonanza” and “Little House on the Prairie”. He was very vocal in his battle against pancreatic cancer, but succumbed to the disease in 1991. Exocrine tumors: These are the most common type of pancreatic cancer. In fact, nearly 95% of people with pancreatic cancer have adenocarcinoma. These tumors usually start in the ducts of the pancreas, called ductal adenocarcinoma. In some rare cases, they may originate in the acini, and these are called acinar adenocarcinoma. Endocrine tumors: Also known as islet cell tumors or pancreatic neuroendocrine tumors (PNETs). These are much less common than exocrine tumors, only accounting for about 1% of pancreatic cancers. A pancreatic neuroendocrine tumor can be functioning, meaning it makes hormones, or nonfunctioning, meaning it doesn’t make hormones. The name of a functioning neuroendocrine tumor is based on the hormone the cells normally make.